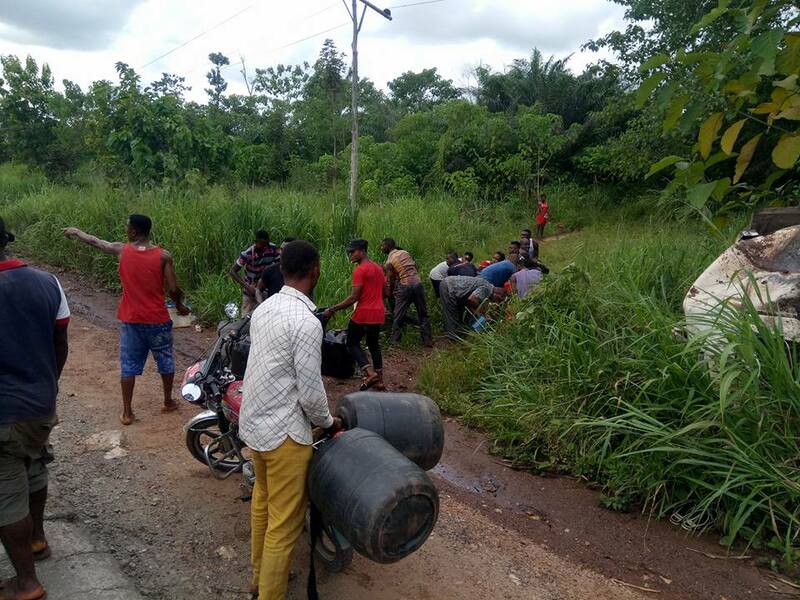 Despite knowing the danger involved, residents were seen rushing with their gallons and buckets to scoop fuel from a fallen tanker in Biase local government area of Cross River state. 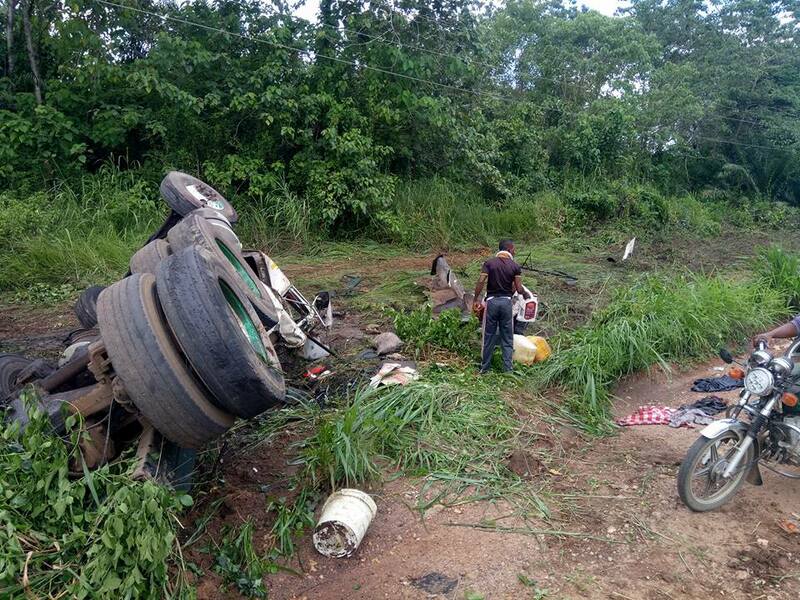 Moments after the tanker crashed and landed into a ditch, the residents were notified as they rushed to the scene to scoop fuel. This is coming after the fuel tanker explosion which happened on Thursday on Otedola bridge along the Lagos-Ibadan Expressway where at least 9 people were killed and over 50 vehicles burnt. 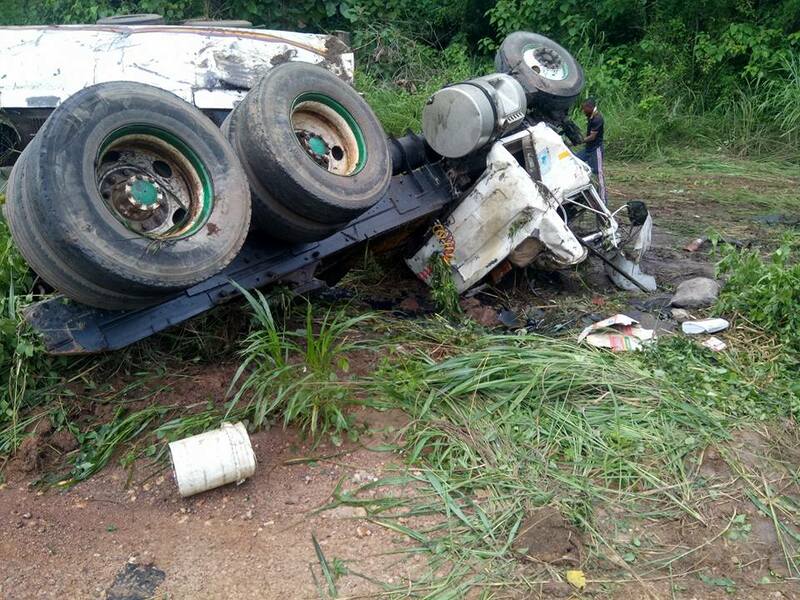 A tanker which was loaded with PMS, had a brake failure while trying to overtake a vehicle before crashing and exploding in the process. Unfortunately 9 bodies were confirmed dead and recovered from the scene (8 adults and 1 minor) and a total number of 54 vehicles were completely burnt as a result of the inferno. 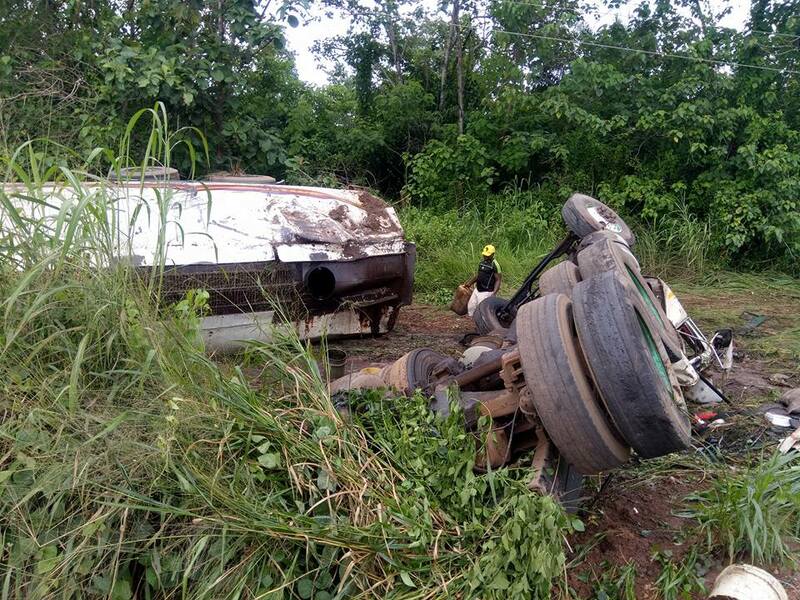 0 Response to "Fuel Tanker Crashes In Cross River State As Residents Rush With Their Gallons (Photos)"